Veronika Rozmahelova graduated from Croft in 2009. She works as a data privacy consultant for PwC Middle East in Dubai. 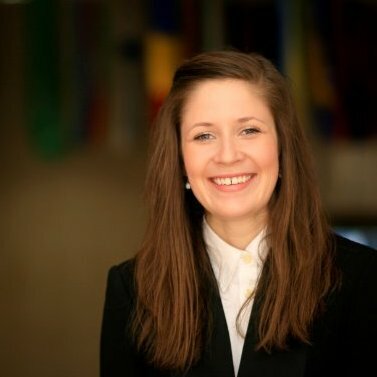 Before graduation, she interned for the Embassy of the Czech Republic in Berlin, and then after graduation interned with the Ministry of Human Rights and Minorities for the Government of the Czech Republic. She then attended Columbia University to pursue her MA in International Affairs. After graduating, she did some government consulting in Buenos Aires, and then worked as the Foundation Director for the Prague Freedom Foundation in Prague, Czech Republic. This positon allowed her to work on other projects such as the Lennon Wall Campaign in Hong Kong. For the past two years, Veronika has been the Associate Manager of Public Policy for Europe, the Middle East, and Asia for Instagram in London. Recently, she transitioned to her current position, a data privacy consultant for PwC Middle East in Dubai. This event is for all students! $300 Croft dollars will be given to for all who attend!